Audio playback issues are among the most common ones reported by smartphone users nowadays. iPhone owners, of course, know this is also fairly common among these devices regardless of their models. Unfortunately, we live in a world where iPhone audio playback stuttering is enough of a problem to merit its own post. Today, we will be reviewing some of the methods you can try by yourself as an iPhone audio skipping fix. If you use your phone to play music or listen to voice notes and you find it presents this issue frequently, then make sure to keep reading for some great tips! There are several reasons why your iPhone might stutter or skip when it plays audio files, music, or video out loud. People often immediately think of hardware, leading them to spend outrageous amounts of money getting their speakers replaced and whatnot. However, you might be surprised to learn that it is also quite common to fix this issue by playing with the software. Let’s take a look at some solutions. The most obvious fix isn’t always as evident as it seems. Most people don’t think that problems might have to do with the operating system itself, or that they might be a performance issue that just needs a simple restart. 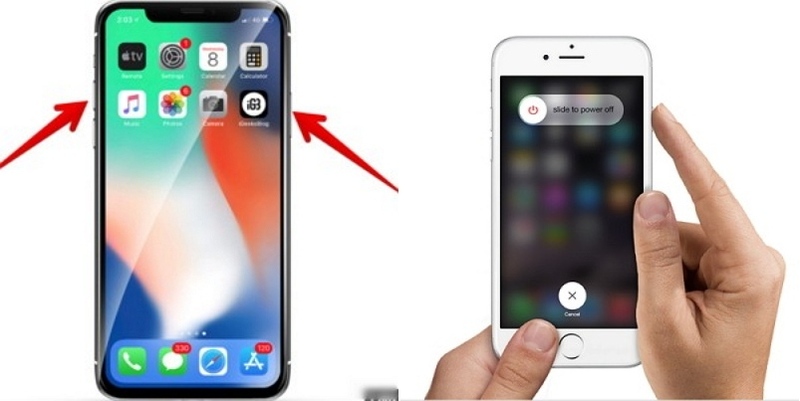 Press the Home button and the On/Off button at the same time. Hold them both for a couple of seconds until the screen turns off. Wait until the Apple logo shows on the screen. You can also choose the Restart option if you have Assistive Touch turned on. On some other occasions, the issue might not be directly in the iPhone’s software. The performance of any given application you’re using to play audio from your speakers might be the cause of the stuttering or skipping you hear every so often. Identify the troublesome app and test if it makes audio skip when played out loud. 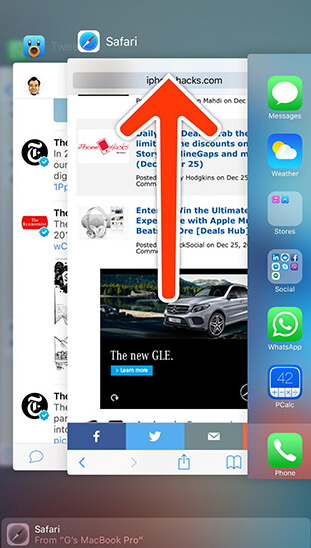 Close the app by double tapping the Home button and swiping it off the screen or clicking on the “x”. Relaunch it by simply opening the app again from the home screen. If closing and opening apps again just won’t do the trick, then it might be time to consider something is wrong with your iPhone’s updates. While it might be a thing of updating your operating system, in this solution we will focus on something much more likely: updating the applications instead. 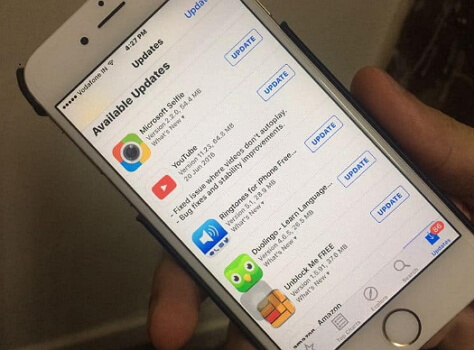 Find the audio, music or video apps where the issue persists on the App Store. Click on them to see if there are any updates available. If there are, simply choose to update them all and try playing audio from them again. If iOS and apps themselves just won’t help fix the issue with updates and other standard tricks, then specialized software might be the thing you need after all. There are many options in the market, but one of the easiest and most accessible programs out there that can help with this iPhone audio stuttering issue is iMyFone D-Back. iMyFone D-Back is mainly a data recovery software, but it can do much more than that. Once installed in your computer, it can greatly help to visualize your iPhone’s system, manage files, and access things that would be much harder to take a closer look at through any in-device traditional means. Choose standard mode on the software window. 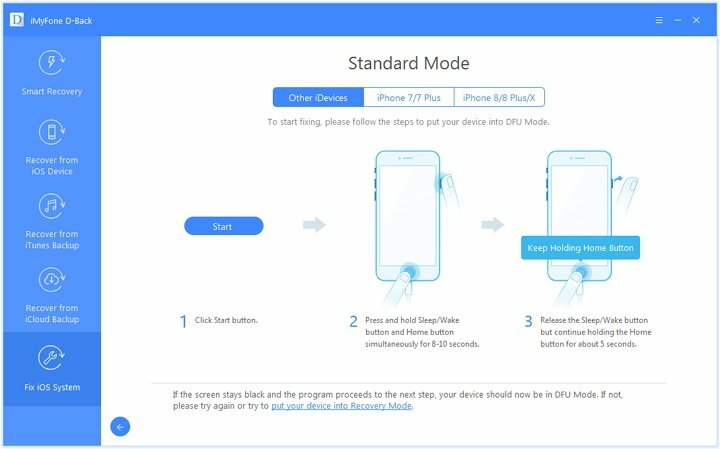 Follow the steps on the screen to put your iPhone in DFU/Recovery Mode. Download the corresponding firmware. 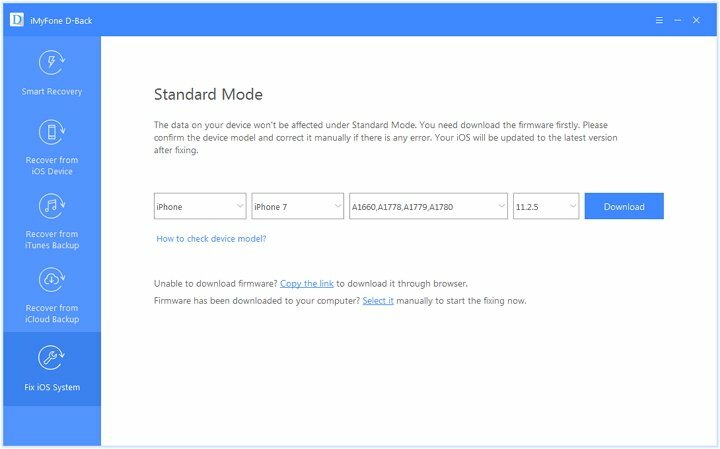 iMyFone D-Back automatically detects the firmware version you need, but double check to avoid further issues. 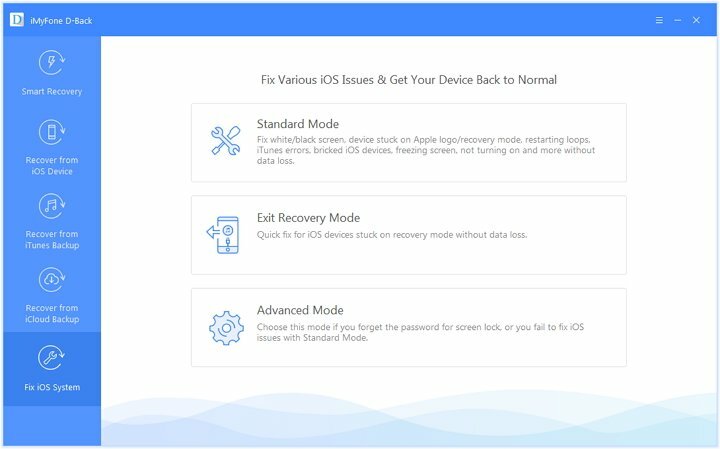 Click “Start to Fix” to run the assistant and fix any issues with iOS. When all else fails, the most reasonable thing to do would be to contact the manufacturer directly and have them take a look at the issue. 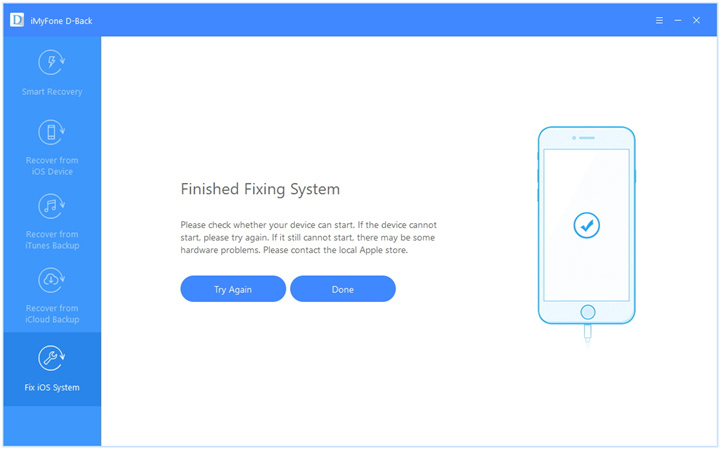 It might be a hardware problem after all, but only Apple can tell for sure and also provide you with a guaranteed solution to your problem. If you’re putting your phone in the hands of Apple, then you definitely need to make a backup. You can check iCloud or iTunes to see your latest backups. That is, of course, if you have any. There’s no need to panic if you find out you never chose the option to regularly back up the content on your iPhone. 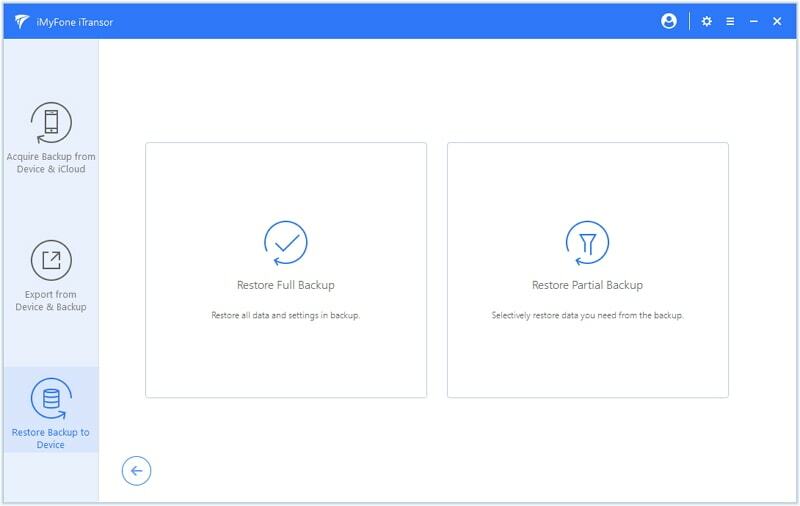 There are several ways in which you can perform an easy backup, but using dedicated software is, once again, a great solution to this minor obstacle. iMyFone iTransor is a specialized data backup and restore tool that serves as a PC client to help you create partial or full system backups of your iPhone. If you want to perform a security backup before leaving the experts to work, then you just need to install this software and follow a couple of simple steps. You will be done in no time, and later you can use the same tool to restore data. If you have experienced iPhone audio stuttering before, please try all of the methods listed above and let us know if they helped you sort out the issue! Also, if we missed any you know of, please feel free to share it in the comments below.